The authority of the Federal University of Technology, Owerri, (FUTO) has announce the release of the 2017/2018 academic session admission list. Candidates that participated in FUTO post UTME screening exercise can now check their admission status. 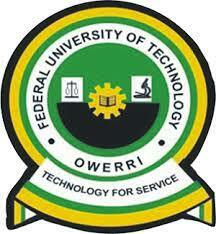 FUTO admission list that contains the names of candidates offered provisional admission into the various undergraduate programmes of the university for the 2017/2018 academic session has been successfully uploaded online. Read: FUTO Direct Entry, JUPEB & Supplementary Admission Lists for 2017/2018 Academic Session. Read Also: FUTO Acceptance Fee Payment Procedure for 2017/2018 Academic Session and FUTO Undergraduate School Fees Schedule. Congratulations to the admitted ones!.